Multistrada 1200 Sport accessory package. An accessory pack that fully enhances the riding experience, combining the unique sound of the approved Termignoni slip-on silencer with the decisive style of the carbon front mudguard and the refined covers for the brake and clutch fluid reservoirs. 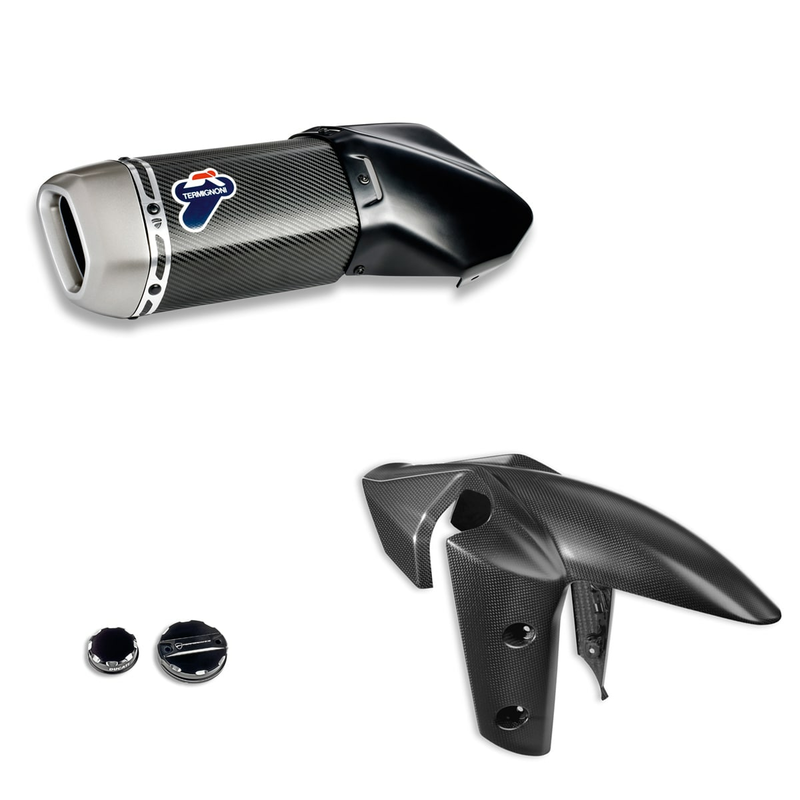 The package includes: type-approved carbon silencer, carbon front mudguard, covers for clutch and brake fluid reservoirs.